Every once in a while, everybody needs to freshen things up a bit. That includes websites as well as personal habits. Today I officially announce a few such changes here at KoHoSo.us. The change most will notice is the first new masthead in over four years. 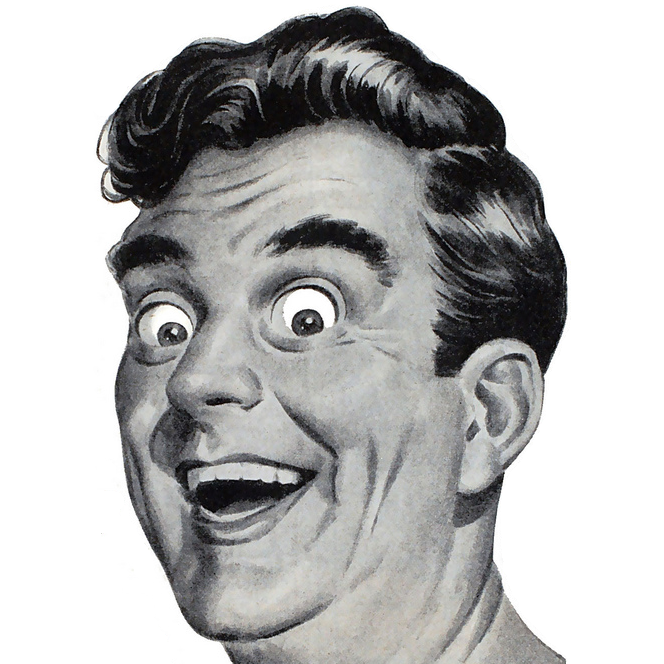 On it is my new “face” that I like to call Overly-Excited Listerine Guy. 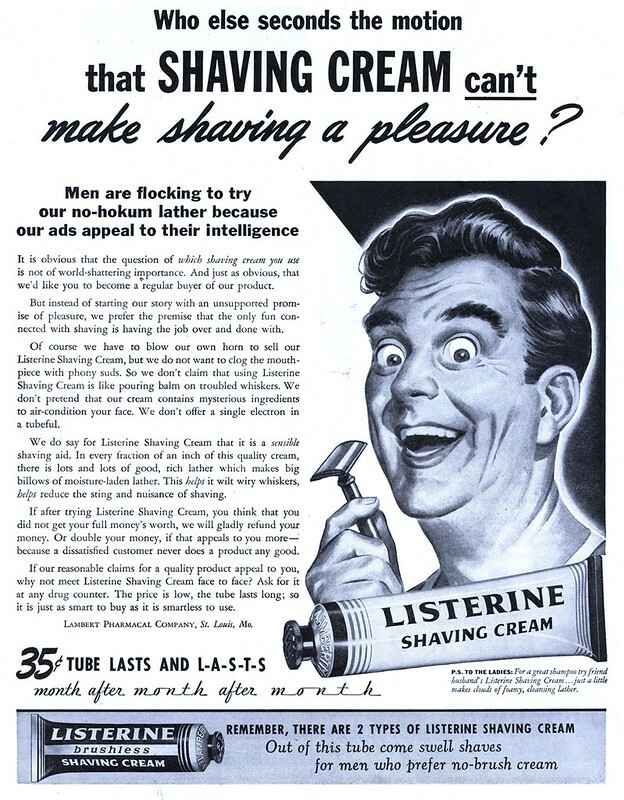 Overly-Excited Listerine Guy comes from a 1944 magazine advertisement for Listerine Shaving Cream. Although I got my original copy of him elsewhere in an edited version, here is the full ad as posted recently by Jon Williamson on Flickr (a man also known for his great blog on the Tumblr platform, Vintascope). Scan Copyright © Jon Williamson. All rights reserved. The new masthead along with other design changes have come along to help me introduce a whole new era on this blog. Tomorrow, April 1st, will be the last day I will post anything at Tumblr. I am now going to begin posting all of my retro/vintage/Americana finds here on KoHoSo.us. Just like my Tumblr, there will be at least one post per day of this type of material. For those accustomed to my more usual posts here about radio, politics, weather, and all the rest of the “sticking it to The Man” stuff, do not worry. Those types of writings will continue as usual. To my many friends and Followers from Tumblr, I hope you will not mind this change of having to look over here instead of just waiting for my posts to come up in that service’s Dashboard. If it is more convenient, the KoHoSo.us RSS feed can be added to most major browsers, many e-mail clients, or any news reader. In addition, just as I did with my Tumblr posts, new entries here will be “tweeted” on my Twitter feed. To the long-time readers of KoHoSo.us, I hope you will enjoy the increased activity with the new added attraction of posts featuring my love for old designs, googie architecture, plus the overall subject of 20th Century history and popular culture. The first official post of the new era here on KoHoSo.us will come up tomorrow, April 1st…and I ain’t foolin’. ;-) Please come and enjoy! Posted in 1940s, Internet, Retro/VintageBookmark the permalink.